Perched on a hill overlooking Sana’a, the old Jewish village of Bayt Baws was abandoned by its original inhabitants after the creation of Israel. Yemen was once home to a large Jewish population; now, in places like Sana’a, there are fewer than a hundred. 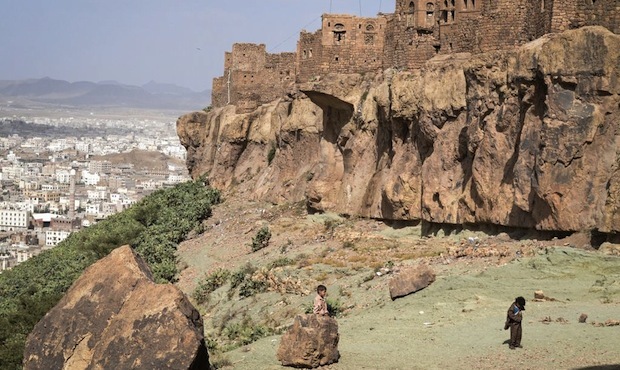 The crumbling village now houses a number of otherwise homeless Yemenis.